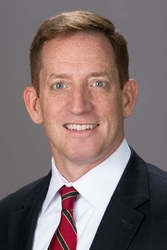 Jonathan C. Meyers is a partner in Hill Wallack LLP’s Yardley, Pa. office and is partner-in-charge of the Workers’ Compensation practice group. Mr. Meyers focuses his practice on the defense of workers' compensation claims. He has represented clients on issues relating to workplace injuries since 1995. Mr. Meyers is admitted to practice before the State Court of Pennsylvania (1995). He earned his J.D. from Temple University School of Law and is a graduate of Villanova University with a B.A. in economics.